Sleek, stylish and strong, the Aquila 4500 Door Awning will keep your entrance, door and windows dry and protected from the harsh elements. The powder coated, galvanized steel support arms, aluminum front and back trims, and the virtually unbreakable, clear 100% UV protected solid panel which also filters the harmful UV rays, make the Aquila 4500 the perfect Awning. 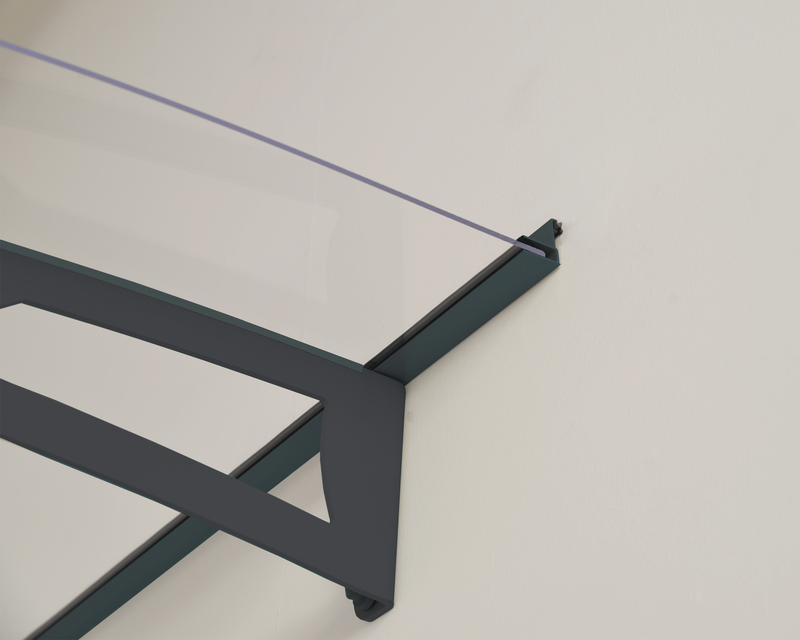 It is modern, sophisticated and fashioned to match any home decor. Its front gutter and hidden gasket directs rain and snow off to the sides, keeping your entrance clear. Add value to your home or property and create an eco-friendly extension with this stylish Do-It-Yourself product. It is made to ensure durability for many years of use, includes all installation hardware and its locking system makes assembly easy. 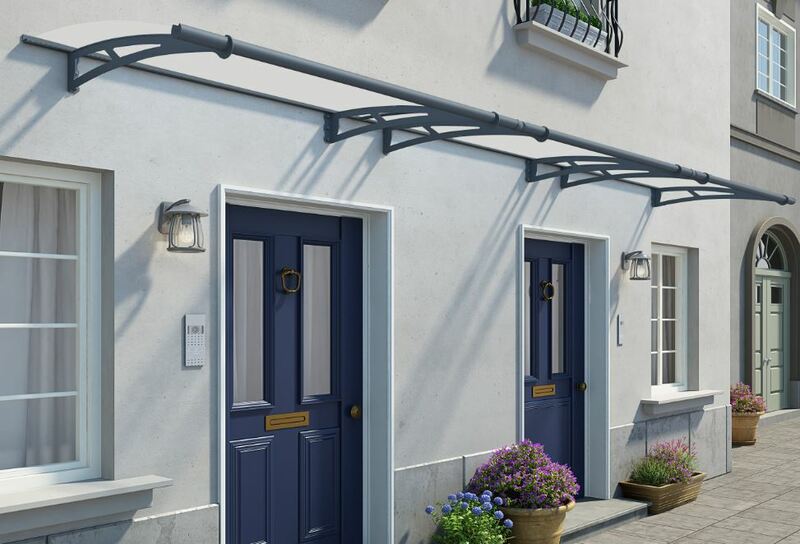 I would recommend your affordable products (Door Canopy | | Aquila Door Canopy- 4500mm (W) x 920mm (P)) to anyone else considering this product, as it has been superb. Omega Build Shop | Door Canopy | | Aquila Door Canopy- 4500mm (W) x 920mm (P). 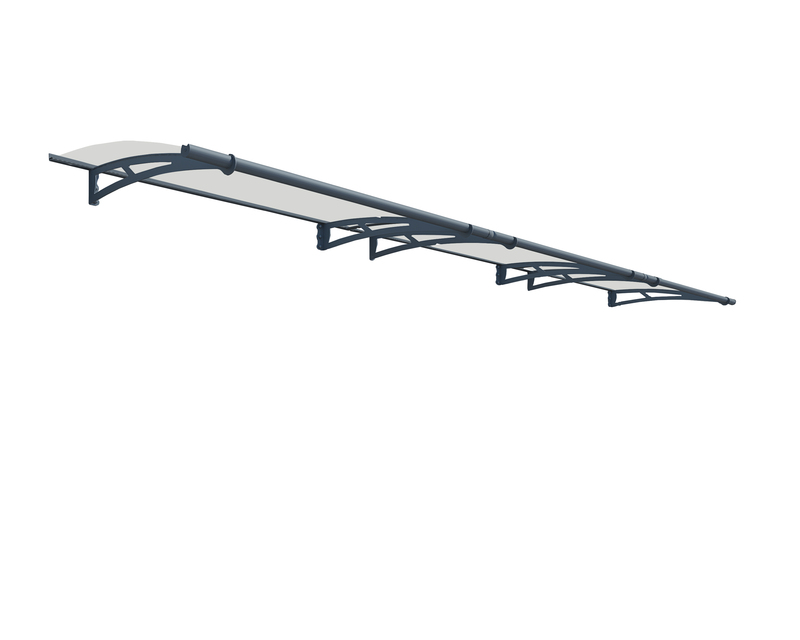 You are viewing Door Canopy | | Aquila Door Canopy- 4500mm (W) x 920mm (P), buy online today!